Kinda wow. The shades (way cool) are by Holophane. 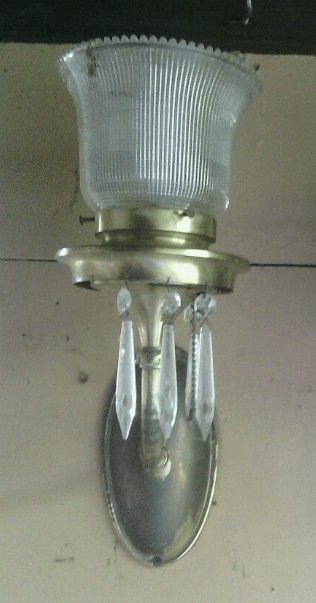 The few crystals which came with the sconces (a matched pair) were not original. 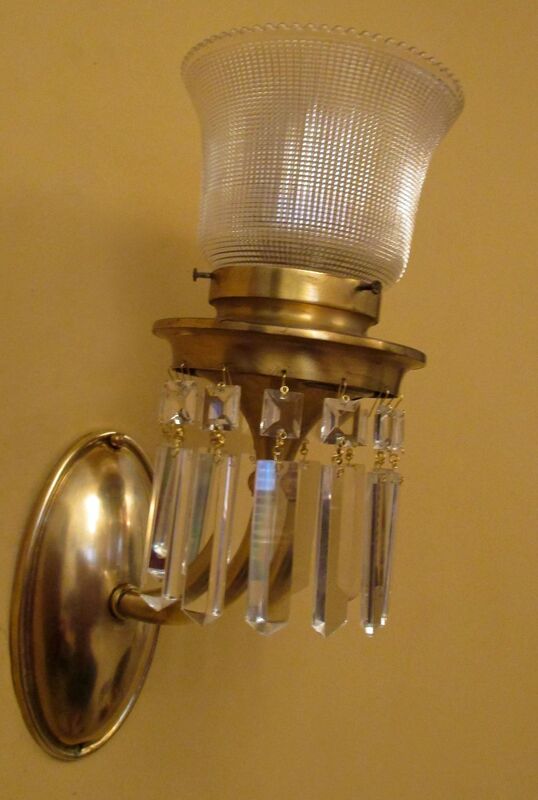 I installed Colonial-style crystals, which was the style normally used with such a mounting ring. The sconces are circa-1915. Just lovely! It is pretty…I love all things crystal. Outstanding as usual!